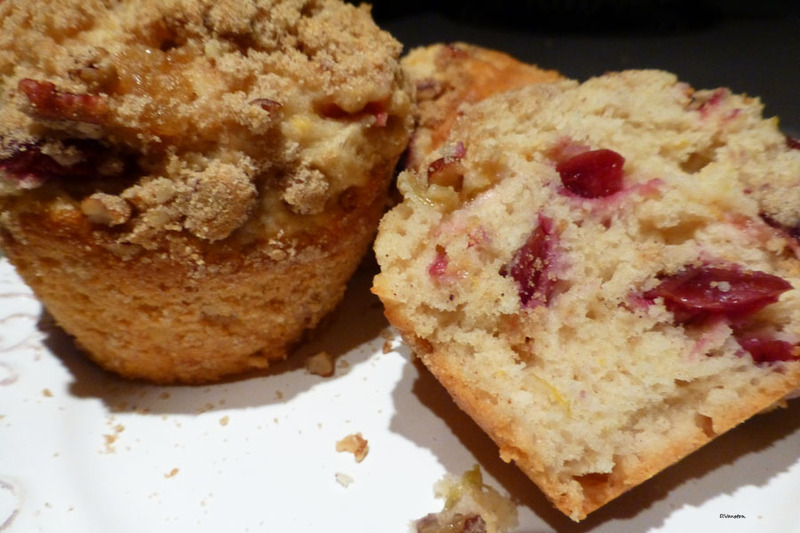 I usually bake muffins packed with whole grains and flour, seeds, nuts, fresh fruit, and in the smaller version pans, so I can eat more. This time I threw healthy out the window and settled for all-purpose flour and lots of sugar. So I wanted to bake muffins with substance, but do you think I could find one of those six-muffin tin pans. I was told maybe in specialty stores. It must be due to the cupcake revolution as I have not recalled giant cupcakes on the market – yet. 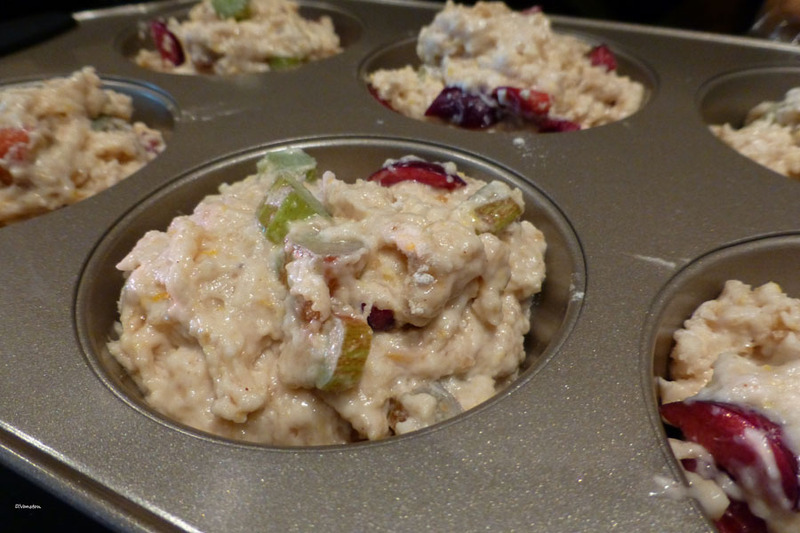 I must admit that I added fresh rhubarb and cherries, plus pecans to these muffins, but I’m not sure if they counterbalanced all those other wickedly non-nutritious ingredients. 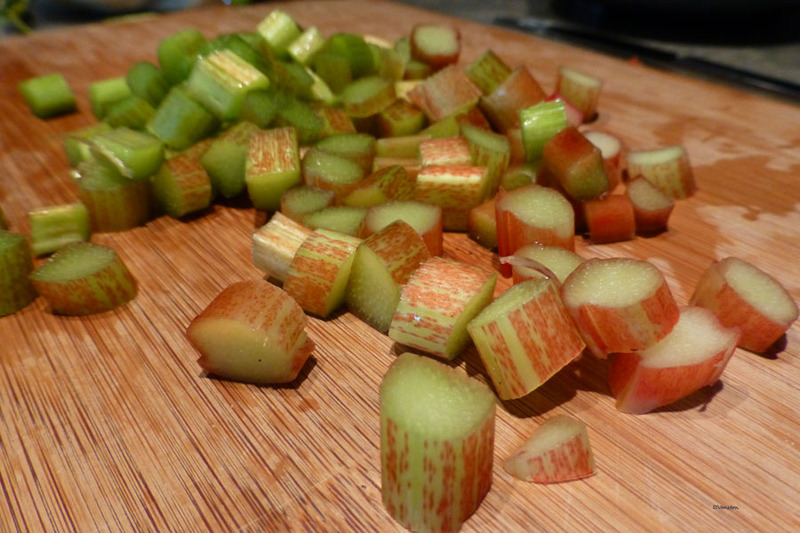 I chopped thin stemmed rhubarb. 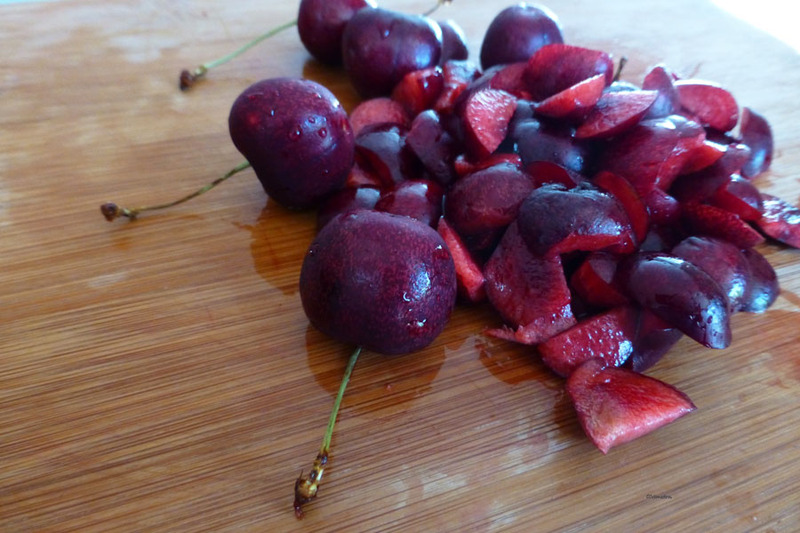 These are coarsely chopped sweetheart cherries. They’re firmer and a bit tarter so good for baking. Mix dry ingredients and make a well. Add into well the blended mixture of liquid ingredients and chopped rhubarb and cherries. 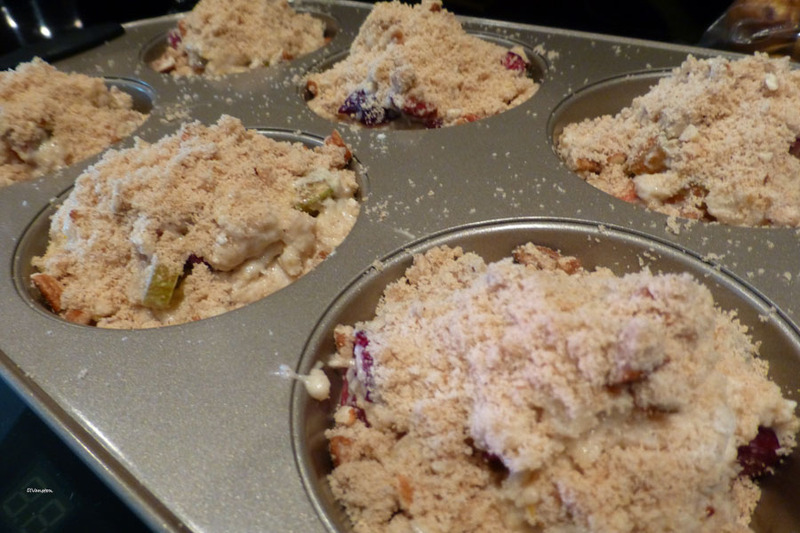 Mix ingredients until moist and spoon into muffin tin. 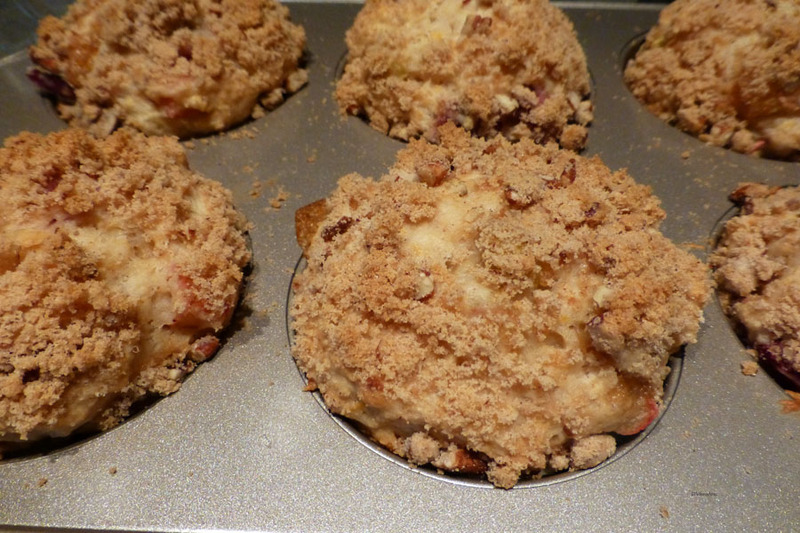 Sprinkle with streusel topping. Makes 6 gigantic muffins or 12 smaller ones if you prefer. 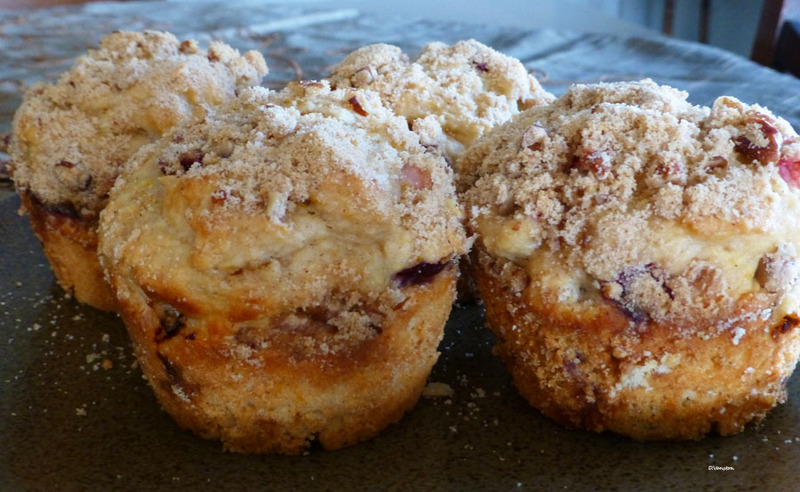 I’m always on overflow mode with muffins. Remember, they’re not cupcakes so they do bake differently. 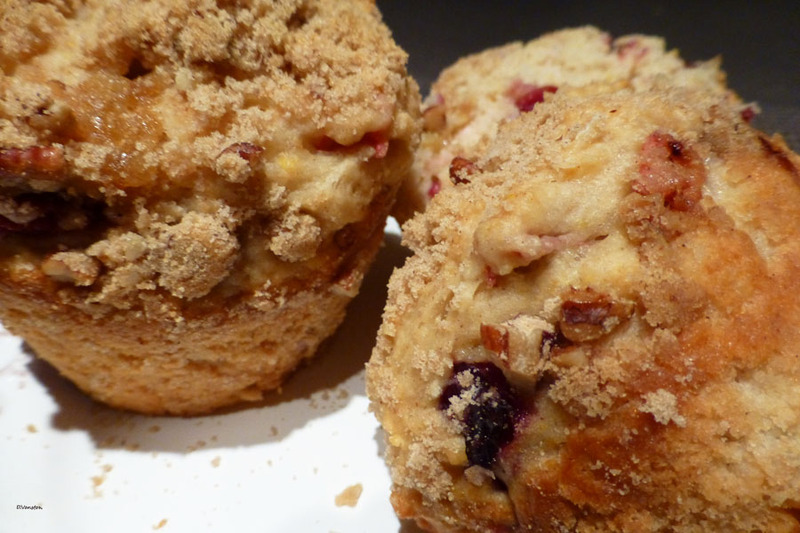 Mix ingredients together and sprinkle about 1 to 2 tablespoons on uncooked muffins. You’ll have leftovers. 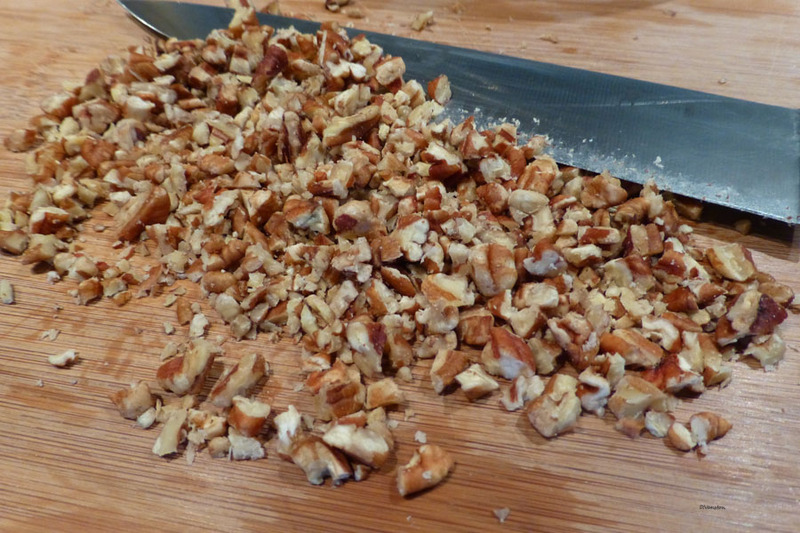 Hint: Use as a topping on baked sweet potatoes, pancakes, French toast, or even pan fried hash-browns. Topping can also be frozen. Now that’s a muffin! I’m sure you and friends will enjoy. Rhubarb bought at Wally’s Urban Market Garden and cherries bought from the Okanagan fruit truck at Saskatoon Farmers’ Market.